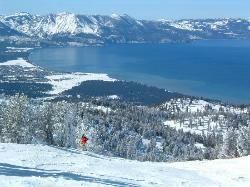 We could have not picked more perfect ski conditions for outlets trip to Lake Tahoe. The Northstar facilities were impeccable with blue bird sky’s and 30 degree temperatures. Best trail was challenger. Taking the woods to the village with fresh powder was amazing. We had 5 nights booked in South Lake Tahoe at the Marriott Grande Residences, and by the third day had had enough of the Heavenly scene. We decided we wanted to ski at North Star for the day. 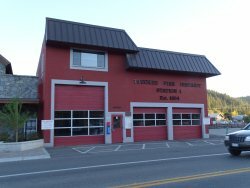 We packed an overnight bag and headed to Truckee.The parking and shuttle service were very easy to do, and the skiing was excellent. Beautiful trails and lots to experience. The village at North Star is also great. A nice break from Heavenly. 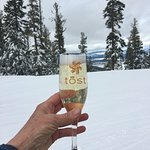 Leave it to NorthStar Ski Resort to think about serving Champagne on the slope. Get your credit card out to cover the price of this unique experience and don't expect it to be cheap. 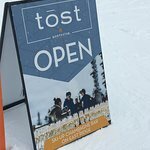 As we made our way off Comstock Express onto the EastRidge run, we kept passing a grand entrance that said TOST with a long accent on top of the O so you would pronounce the O as a long vowel. It was closed. What on earth was this place? Finally shortly after noon a sign appeared as we made our way off the lift that announced TOST was open! Hurrah, let's go find out what this place is. A ski up champagne bar. WHAT FUN albeit expensive. 2 glasses of a champagne we had never heard of before ran us nearly $50. 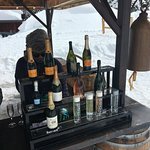 Where else can you grab a chair by a real live fire pit and sip some bubbly right off a ski run!?!? They also have big yellow bean bag like chairs that were so comfy it made it nearly impossible to get up. Some tips: Keep up your speed as you approach the entrance or your arms will get a good work out poling. Better yet, ski past the entrance, keep looking right and you will see the set up. Set your skis off to the side and walk on over. What fun!! 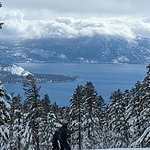 This year is a great ski season As a season pass holder here are some tips for skiing N*Star for intermediate and advanced. Get here early gondola starts at 8 am first chair turns at 8:30 am. Take 1st chair at Zepher and take Pioneer run for a nice warm up on nice groomer. Expert skiers can go to Look out mountain via same lift. I ski the Gully and several of the blues off Zepher before 9:30 then move to the back side. 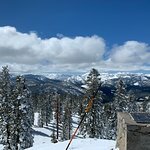 From Zepher take Drifter then take chair back up - take side trail to Castle Peak - My favorite run. Also take Challenger on the back side; as well as Iron Horse both easy Blacks. Take some runs down the west ridge like Ax handle. Later go to the East ridge. - Power and lower Gousse Alley are really nice with no body there. Later take runs down the East ridge - Delight short black; or loggers run. Look if Surprise is open a great run. Take the woods of Loggers loop for the last run of the day or go down village run. I hope you enjoy N* as much as I do. 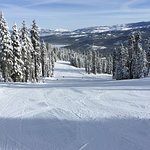 Northstar has purchased a lot of publicity in magazines and many articles will say this is a great place to learn to ski. The reality is it's not a great place to go as a beginner. Why? First, the lessons are really expensive. Second, the lift lines are long; you may be waiting 20 minutes just to get on the lift. Third, with so many people on the trails, you will be super nervous about hitting other people and your progress will be slow. Fourth, the parking situation is difficult. They have a big base village, that means you will be walking in ski boots a lot. It's not fun to have to walk that much in ski boots. 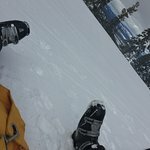 Avoid Northstar if you are just learning to ski. resort. We paid a lot of money to stay at the Ritz Carlton because it has easy access to magic carpet. But the incompetent fools at Northstar ruined our experience. Also, they cannot be bothered to maintain their equipment properly. When I was there last weekend, people were stuck on the lift for 3 hours in cold weather. Luckily I wasn't on that lift but I have no confidence in the people who are running this resort. I define luxury as having a bit of space to myself. By my definition, Northstar is far from luxurious. It's more like the big casinos in Vegas. Nice facilities but over run with people. The daily lift ticket prices can be upwards of $150. It's actually not that expensive to ski here b/c they sell a cheap season pass (around $570) that you can use on non holiday weekends. What they make money on is all other things like food, parking, lessons, equipment rentals, lodging. Very similar to a Vegas casino. The low cost season pass is the bait. 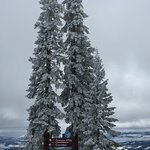 Just avoid Northstar if you are a beginner skier. DON'T believe the marketing. Tahoe fans! This is good resort to visit. It is owned by Vail resorts. I am going to this resort next weekend. People like Northstar and think it is favorable and popular. 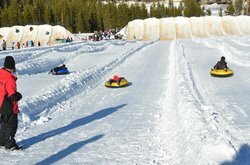 Northstar has variety of runs and it is challenging for intermediate/advanced skiers. 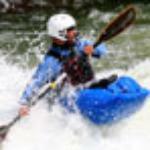 It is good for beginners and newcomers to the sport of skiing. I have been to Northstar at least 5 times starting when I was a teenager at the age of 12. This is a decent resort that people don't complain about. They get season passes to visit. It's in North Lake Tahoe near Truckee, CA. 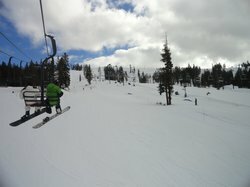 Northstar is inviting for the family and all kinds of people who ski and snowboard.